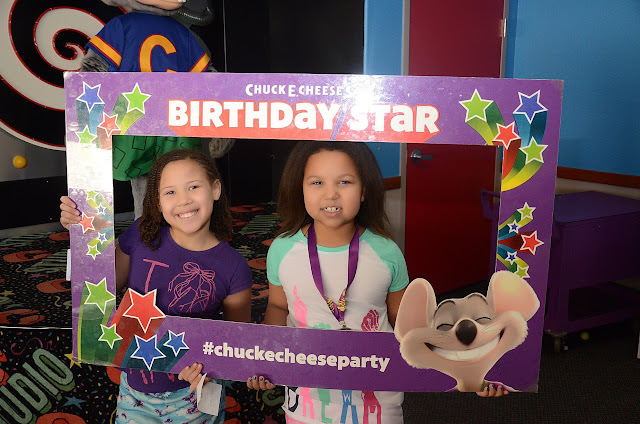 I've dreaded a birthday party at Chuck E. Cheese for years. Not just going to one but hosting one as well. 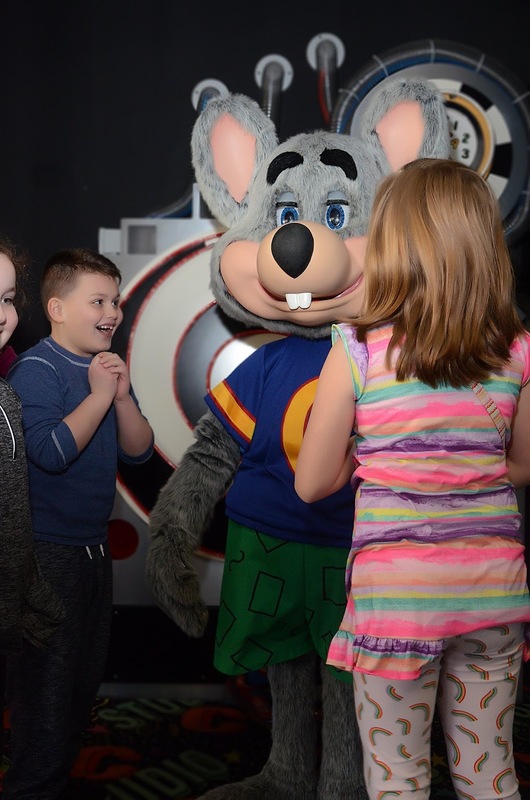 Every year one of our kids does not request a party with the mouse, we let out a giant sigh of relief. 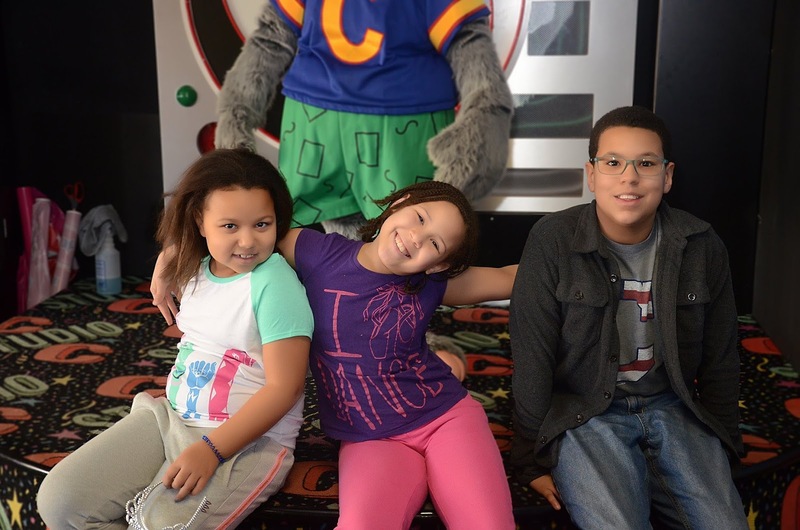 It's not that we are against fun or Chuck E. Cheese. I just never wanted to host a birthday party there on a Saturday with a boatload of other kids. 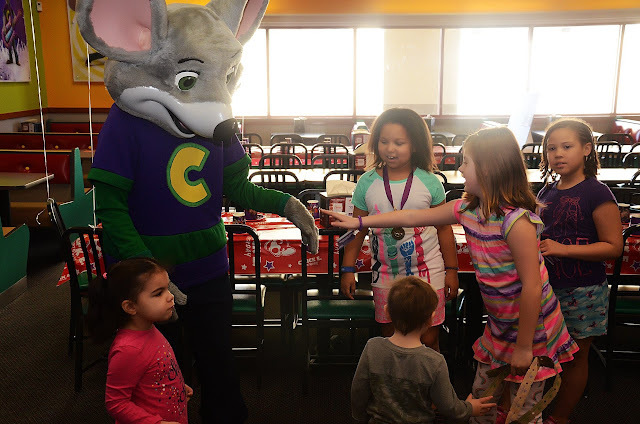 Until I hosted a party on a Saturday at Chuck E. Cheese. It took months for my daughter to tell me what she wanted to do for her birthday. She had a theme but not a where. She turned her nose up to all of my suggestions. I go back and forth about a party with friends vs a small family get together. I love celebrating their birthdays in every form. 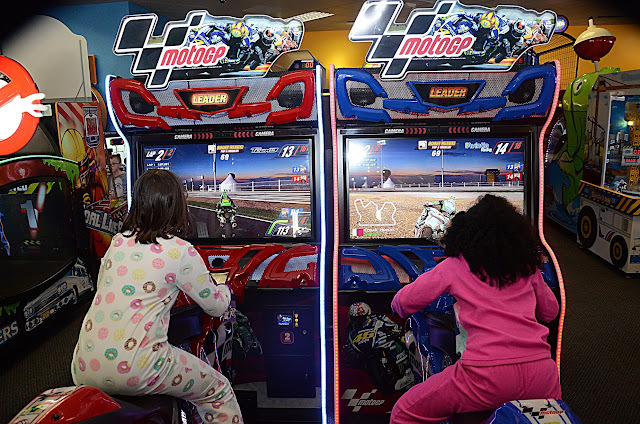 Coming down to the wire, we sat in front of my laptop browsing ideas she spotted an ad for the pizza mecca for kids. After looking at time options and pricing it out, we decided on having the party at 10 AM on a Saturday. There is an 8 AM option but I couldn't get her on board with that. 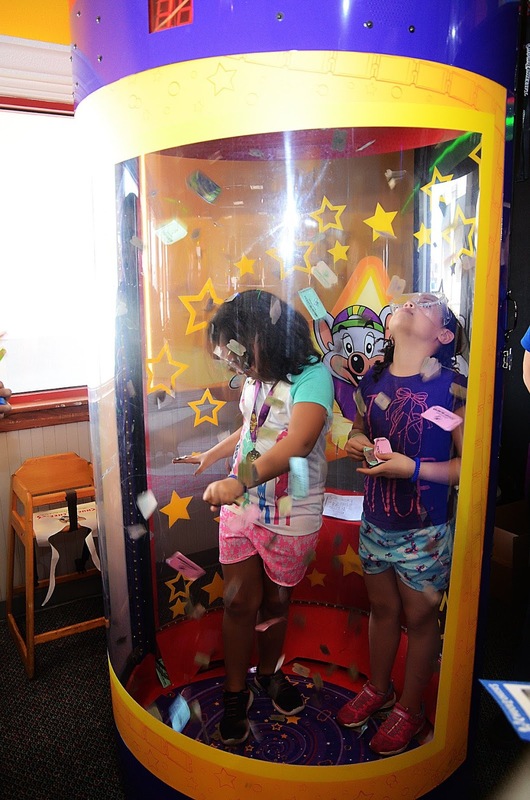 Since we booked online, she got an additional 20 play points and 100 free play points for hosting a party on Saturday at 10 AM. 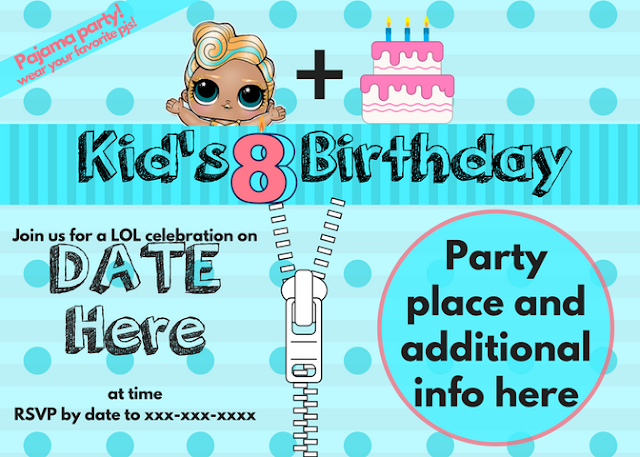 Edit this invite for your LOL doll fan! Click here for Canva template. Be kind to the next person and MAKE A COPY of template before editing. It is a shared public document. 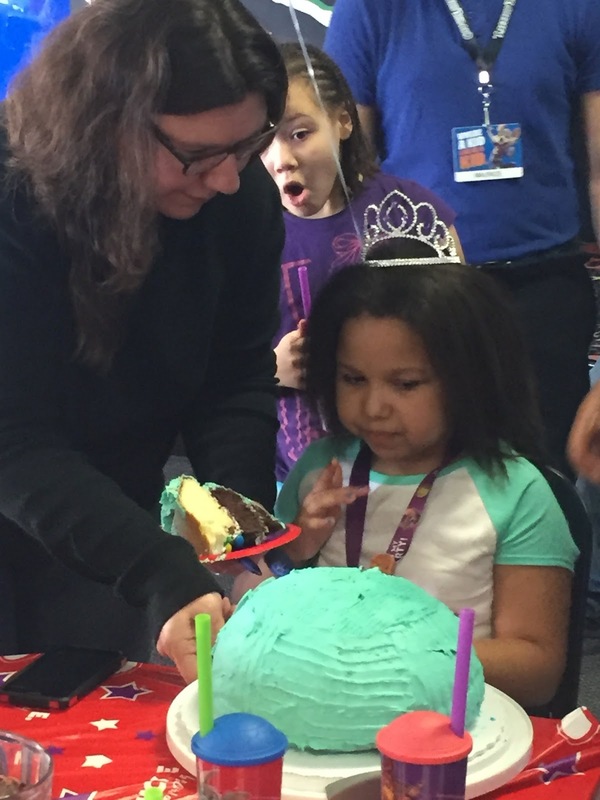 The invites went home to her classmates and I set to planning her cake! 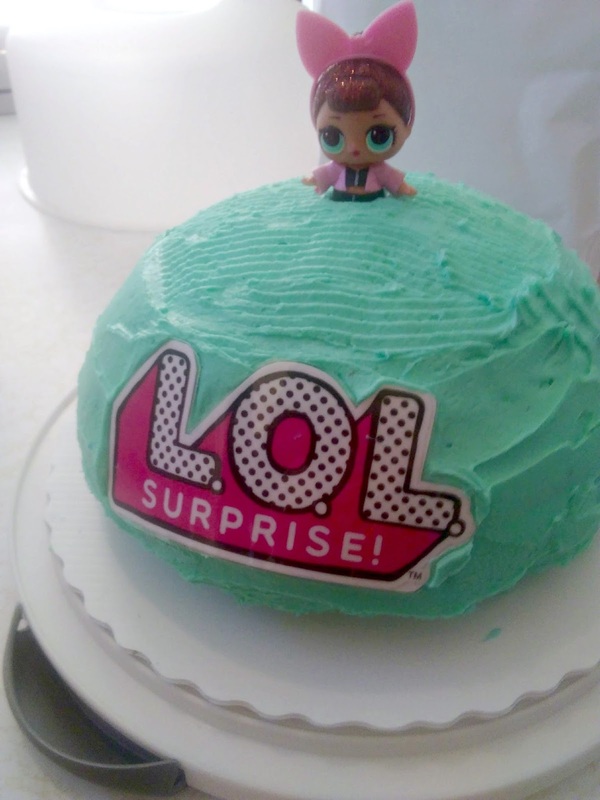 She wanted a LOL Doll themed cake. That should be easy. I opted to not do goodie bags. Instead, each kid got a wristband for their play cards and a refillable (for life of the cup) cup. I did take issue that employees asked the kids if they wanted to trade the $1 wristband for penny candy. I get why, but I was annoyed since I paid for the damn things. 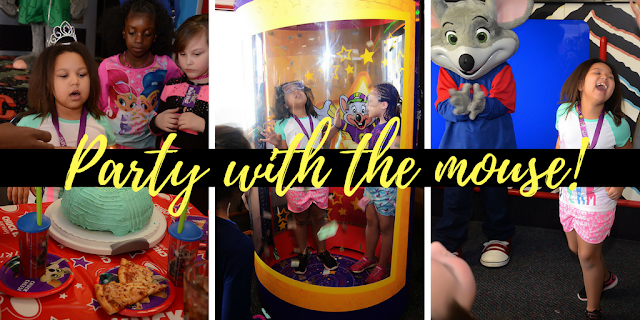 Having a party anywhere that they do it all the time makes planning easy. Especially when they have the basics down. 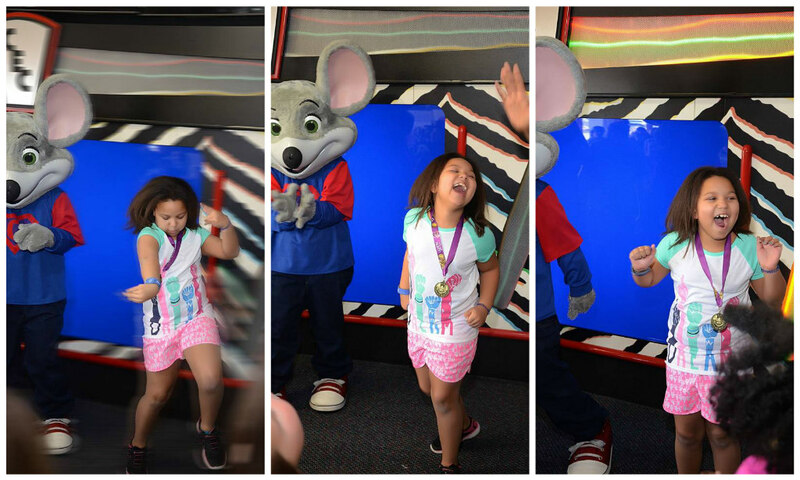 Chuck E. Cheese may be on the high end, but they run like a well-oiled machine. They were so efficient, that we had almost 30 minutes of extra play time in the end. After fretting over and figuring out how to make a roundish cake to resemble the surprise ball that the LOL dolls are known for, I decided to make a true surprise and fill it with m&m's. What kid would not love that, right? 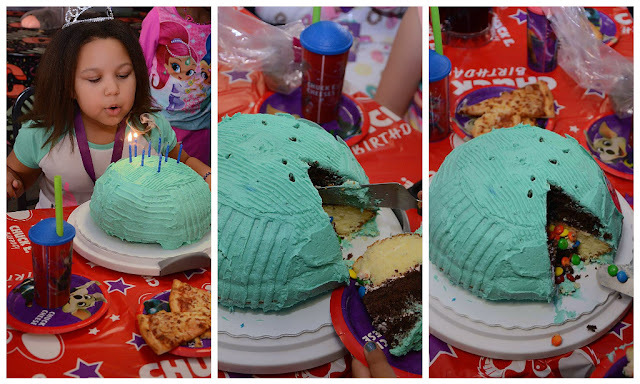 My kid hated the idea of m&m's in the cake. In fact, there was only one kid that enjoyed it and ate the cake with m&m's. Oh, she was so disgusted. Parents loved it so it wasn't a total waste. 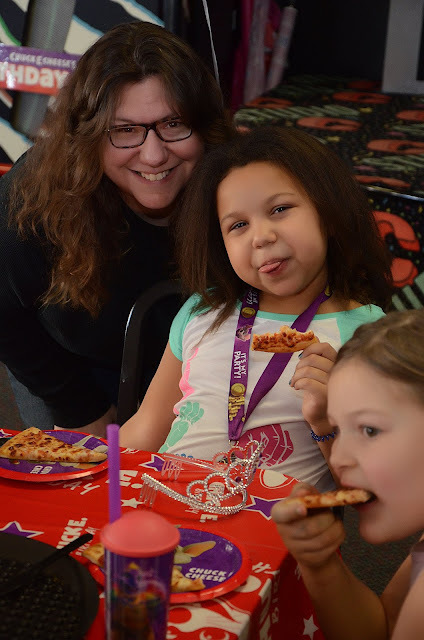 Another year, and another successful birthday party! Thanks for letting me share her day with you!